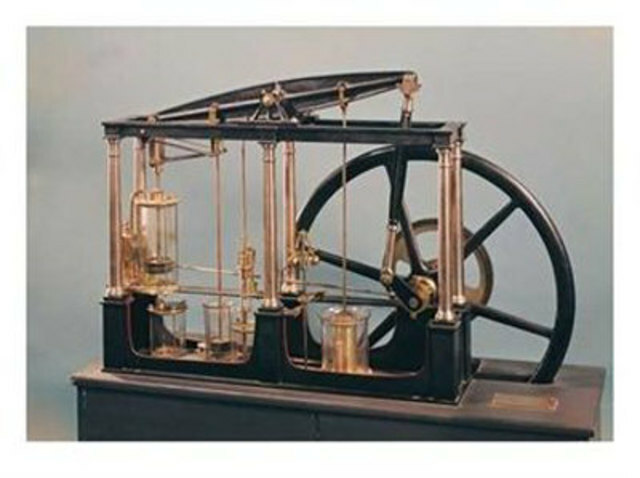 James Watt patented an improved version of the steam engine which was the building block of steamboats. 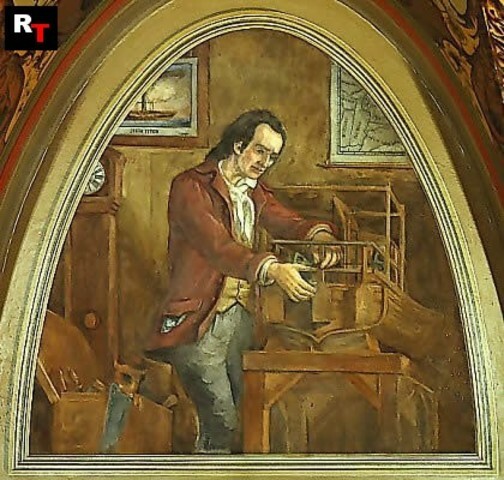 John Fitch successfully built and sailed the first steamboat in America. He then made the first successful trial of a steamboat. 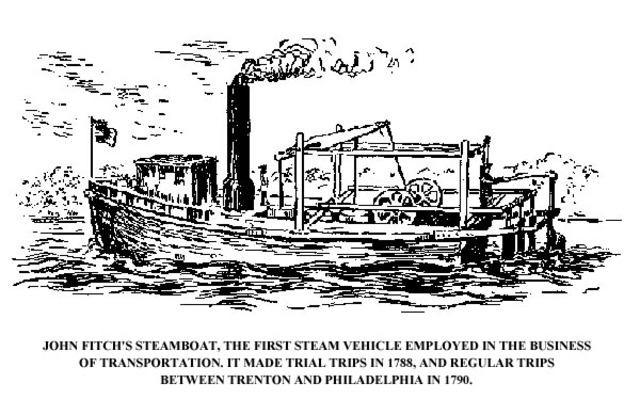 John Fitch was granted his first United States patent for a steamboat. 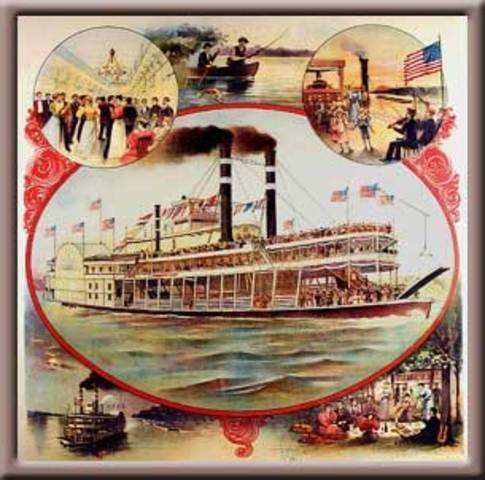 His steamboat, the Clermont, made it's voyage from New York City to Albany. The trip was 150 miles, and it took Fulton 32 hours at an average speed of 5 miles per hour. The "New Orleans" was designed and built by Robert Fulton and Edward Livingston. 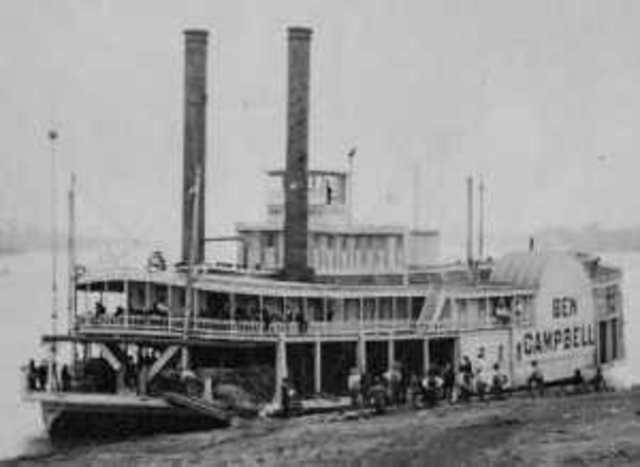 It had a passenger and freight route on the lower Mississippi River.